Most government processes are starting to go digital, but one service remains stuck in the pen-and-paper Stone Age: notarization. While notary requirements come from a good place — validating the authenticity and accuracy of a document — they’re often unnecessary in our digital world. When is notarization still necessary? Many of the conditions that made notarization commonplace several centuries ago still exist today. People want to ensure that their documents are authentic, signed at the time of the agreement, and done without duress or intimidation. So, we can agree that notarization serves a purpose in our society. The problem with notarization is less a problem of function as much as it’s overuse, made apparent by its inability to keep up with recent developments in tech. Notarization impedes the total digitization of a process more than almost anything else. A form process may be entirely digital — from online submission to cloud storage and record retention — but if notarization is required, so is a paper trail. This paper trail solely exists for the purposes of notary documentation, yet it needs to be separately stored in a secure location. Obviously, that can present a major hassle for City Hall staff and private citizens alike. Then, there’s the amount of time and planning notarization involves. By contrast, an online digital form can be filled out, submitted, and paid for in a matter of minutes with little or no scheduling or coordination. It can be done at any time, from anywhere internet access allows. People can do the whole process on their mobile phone while waiting in line for lunch. Adding notarization to form processing greatly increases the time it takes for someone to do the exact same process. Rather than doing everything online, residents need to find a notary — something many people have never had to do before — and in most cases physically visit them. Some notaries are only available during certain hours, which often not-so-coincidentally overlap with the hours most people work. Not to mention the burden levied upon people with a disability that hinders their mobility. Even though eighteen states now accept electronic notarizations, it still unnecessarily adds an extra step to any process and can add to total processing time. A number of our government partners have explored alternatives to traditional notarization, leveraging available technology to streamline the process. A good portion of that process has involved determining where notarization is necessary — contracts, business incorporation, etc — and when a simple checkbox will do fine. 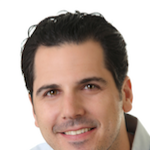 Passaic, NJ used to require notarization on nearly all forms from City Clerk’s Office. In many instances, this level of care was wholly unnecessary — and the city knew it. City clerks in Passaic realized that a legally binding signature was adequate to validate the authenticity and accuracy of simple permits, rental applications, and entertainment licenses. Now, the City’s online forms leverage a checkbox stating “I acknowledge that I am forgoing a notary and certifying I am the owner of said business” in lieu of a drawn out and costly notarization process. That helps people looking to host small events get necessary permits in only minutes. The town of Lauderdale-by-the-Sea, FL used to require notarization on dozens of forms. Using a similar approach, the town is now accepting online submissions on forms that take a fraction of the time and effort to complete — all without the added hassle of notarization. Best of all, the decision to remove notarization on forms didn’t have to go to the Legal Department or counsel — it was a decision that stakeholders in the form process made themselves. As technology transforms the way we interact with our local governments, we need to be able to think critically about our processes. Part of this requires us to think about what protections serve a purpose — and those that simply don’t anymore. As old systems get new consideration, we need to reconsider which processes benefit people, and how to improve ones that hinder a person’s ability to get what they need in a prompt, fair, and equitable way. 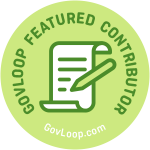 Jonathon Ende is part of the GovLoop Featured Contributor program, where we feature articles by government voices from all across the country (and world!). To see more Featured Contributor posts, click here. Great post Jonathon! I had to get a document notarized the other day and I kept thinking to myself there’s got to be an easier process. Hoping this changes soon! We, as notaries, ID the signer,and become an impartial witness, or give an oath to the signer stating that “they” swear the document is true and correct. Looks like validating a persons ID is an after thought to you. Sure hope no one signs a transfer deed for you without an ID check, or how about changing your living trust without an ID check? How would that work for you? You appear to have no idea what a notary does. We understand the importance of the notary public’s role, and have acknowledged that in many cases, notarization and identity confirmation is still an important part of a process. However, the goal of this post is to shed light on cases where notarization is not, in fact, a legal requisite. This position has been confirmed by the willingness of many of the government agencies and Legal Departments we work with to remove notarization from certain forms, allowing for the total digitization of these processes.